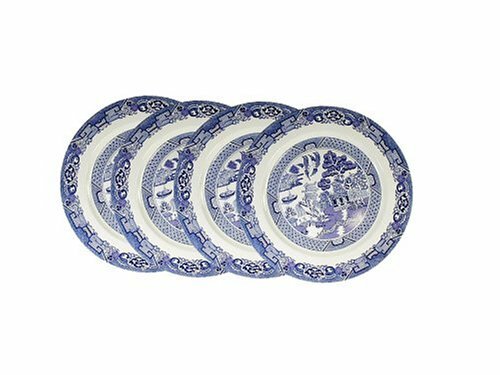 Begin your table setting in good taste with this Royal Cuthbertson Blue Willow traditional blue and white porcelain dinner plate, set of four. Add these to your existing collection, or combine with blue or white solids for a mix and match casual look. 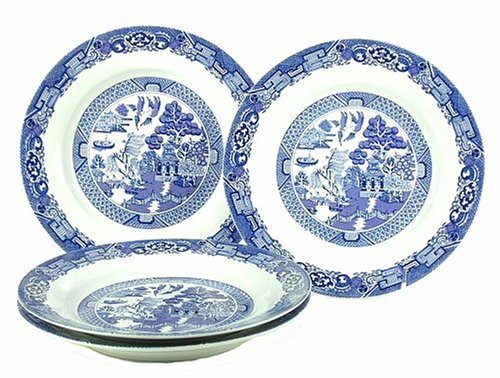 Blue Willow, the most popular pattern ever to appear on ceramics originated in the UK in 1780, owes its inception to the original Chinese pattern which was designed around a story from the days when Emperors ruled China.Long ago, there was a very wealthy mandarin who had a beautiful daughter and they lived in a magnificent pagoda under the branch of an apple tree, next to the bridge over which droops the famous Willow Tree. The mandarin¿s daughter was promised in marriage to an old and wealthy merchant, but she was in love with her father¿s clerk. The lovers eloped across the sea sailing to a cottage on an island. Months later the mandarin heard about the couple on the island and sent his men to destroy them. They killed the clerk but the daughter set fire to the home and killed herself. Thus the both perished, and the gods, touched by their love, immortalized them as two turtledoves eternally flying together in the sky. 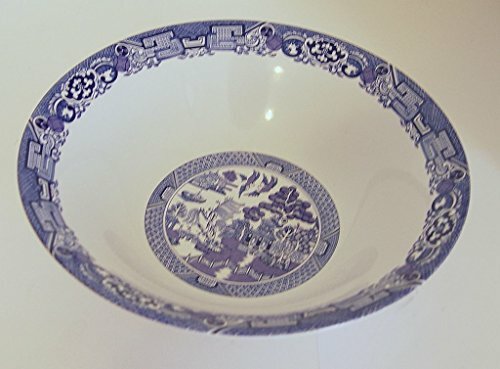 Cuthbertson Blue Willow Salad Plate, 8 1/4"
Cuthbertson Blue Willow Pattern. 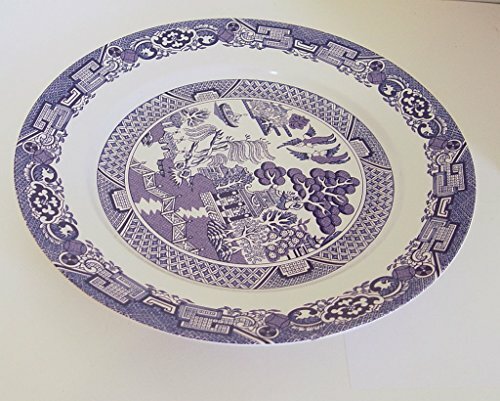 One of the most traditional English dinnerware patterns. 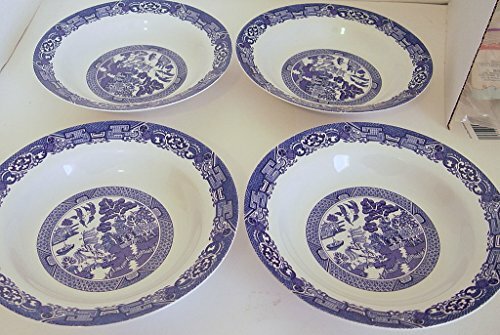 Available in individual pieces and as a place setting. 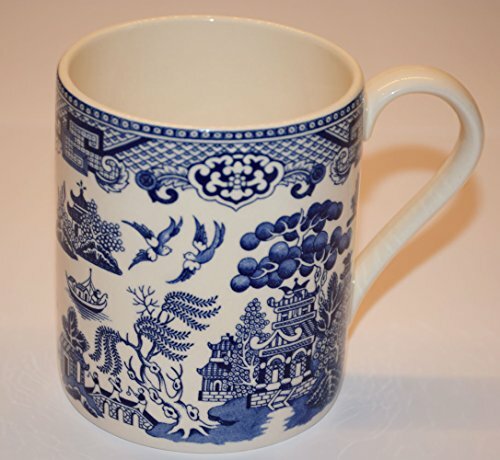 Made by England's finest potteries. 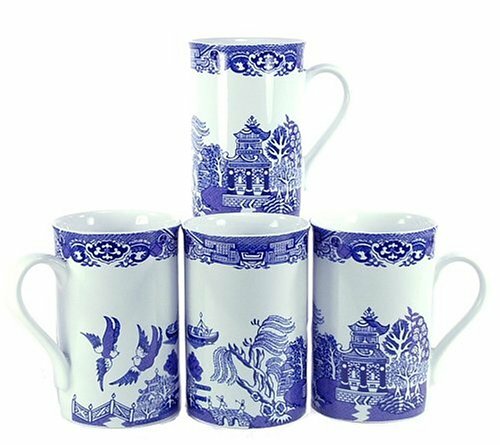 Made of High-Quality Earthenware / Chip-Resistant. 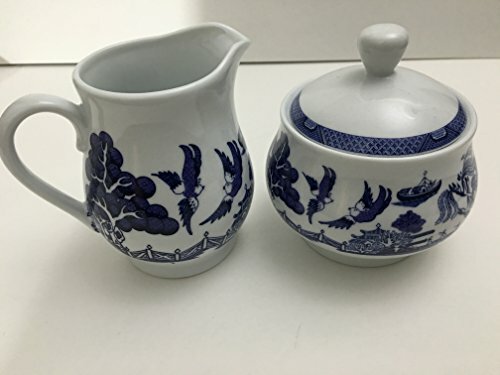 Microwave & Dishwasher safe. 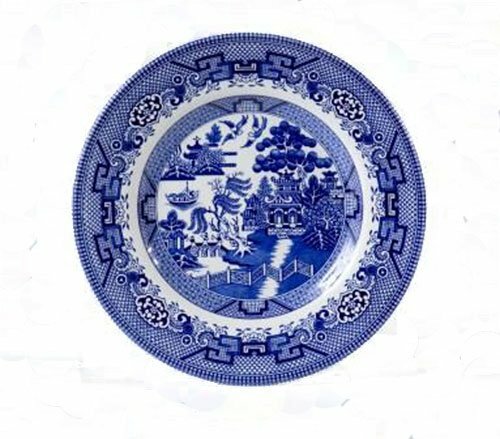 Exploring the Blue Willow Pattern - What does British Tableware have to do with the Opium Wars?